the Board, under the leadership of former Chairman Al Zapanta, established the Citizen Patriot Awards for Distinguished Service in 2002. An individual and an organization will be recognized annually. The Citizen Patriot Award is the highest award conferred by the RFPB Fellows Society and recognizes individuals who have demonstrated exemplary service to the Reserve Components at the national level. The recipient will have made a substantial contribution to the nation’s defense and to national security. Recipients will have demonstrated a quantifiable and recognizable pattern of excellence over a lifetime. The Citizen Patriot Unit Award is intended for units organized to serve the nation. The recipient unit will have made a substantial contribution to the security and/or defense posture of the United States of America in a manner worthy of recognition at the national level and will have demonstrated a quantifiable and recognizable pattern of excellence. The responsibility and privilege of presenting this prestigious award has been transferred to the RFPB Fellows Society. The RFPB Fellows Society will continue the tradition of honoring those who have demonstrated exemplary service. Individual Award: Honorable John O. Marsh Jr. Individual Award: General John W. Vessey Jr.
Unit Award: Helicopter Sea Combat Squadron EIGHTY FIVE (HSC-85) "Firehawks"
Individual and Unit category recommendations should be submitted in narrative format to include the individual/unit’s full name (decommissioned units are eligible for the Unit award) without abbreviations or acronyms, complete address and the unit’s background in the first paragraph. The period of eligibility has no time parameters. Second and succeeding paragraphs should highlight the individual/unit’s accomplishments and contributions to the security and/or defense posture of the United States of America in a manner worthy of recognition at the national level and will have demonstrated a quantifiable and recognizable pattern of excellence. Nomination Solicitation: The RFPB Fellows Society solicitation announcement will be sent to all Reserve Component Chief’s requesting Unit nominations for the Citizen Patriot Awards. Citizen Patriot Individual Award nominations are submitted by the RFPB and the RFPB Fellows Society only. Nomination Submission Deadline: Both Individual and Unit category recommendations should be submitted via memorandum format. Recommendation package enclosures and/or attachments are permitted. Submit scanned packages in “pdf" format to: RFPBfellowssociety@gmail.com. Award Committee Vote: The RFPB Fellows Society Secretary/Treasurer will validate each nomination package. All award nominations will be electronically transmitted to the RFPB Fellows Society Awards Committee for review and consideration. The RFPB Fellows Society Awards Committee will submit their votes electronically via email to: RFPBfellowssociety@gmail.com. Announcement of Winners: The RFPB Fellows Society Awards Committee officially vote on both the Individual and Unit Award recipients and formally announcement of winners via a person phone call by the RFPB Fellows Society President. Award Presentation: The Individual and Unit Awards presentations by the RFPB Fellows Society will take place on September 2019 at the Reserve Forces Policy Board's Annual Meeting at the Army Navy Country Club, Arlington, VA. 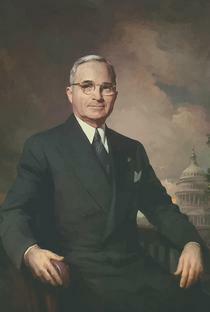 In 1947, President Harry Truman planted the seed for what is now the Reserve Forces Policy Board.